Vexor Custom Woodworking Tools, Inc.
With over 90 years of combined experience in the tooling and manufacturing industry, Vexor Custom Woodworking Tools offers a wide variety of tools for the woodworking industry - tooling that works within the most precise tolerances, providing the customer with the highest quality tooling available. 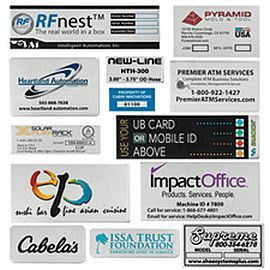 A USA manufacturer of high quality tags, metal labels, nameplates and signs, Inland Products uses leading technology to provide customers with exceptional products at economic price points. Specializing in contemporary door and drawer fronts for the professional cabinet maker, ACS - Atlanta Cabinet Shop supplies acrylic, TFL and HDF cabinet fronts as well as other components. 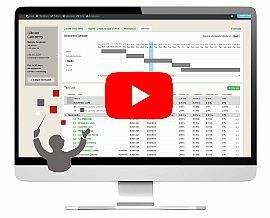 A project management solution for busy cabinet shops, Cabinetshop Maestro software helps to plan and manage multiple jobs, stay on schedule and accurately estimate and track labor costs. A new generation software company, NEGESCO's products reduce time consuming tasks to a single click, providing leaders of woodworking companies with efficient management and workflow. Offering high-quality products for the wood, plastics and non-ferrous metal industries, CNC-Tool.com is a premium source for the CNC tooling, CNC solid carbide router bits and accessories. 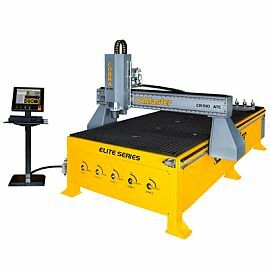 Specializing in industry-specific CNC production solutions, CAMaster manufactures CNC routers to exacting standards at an affordable price. A world market leader for solid wood processing equipment, Weinig Group-USA produces a variety of machinery including moulders, planers, knife grinders and many more items to increase business efficiency. 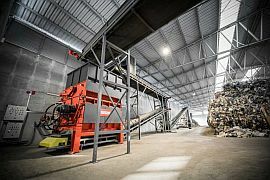 With a variety of machines to handle various material sizes and capacities, WEIMA's products include single-shaft and four-shaft shredders as well as granulators and briquette presses. 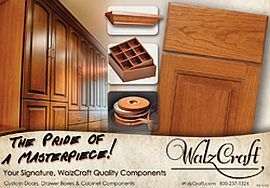 A family-owned business with over 300 dedicated employees, WalzCraft manufactures custom cabinet doors, drawer boxes, moldings and many other varieties of cabinet components and accessories. 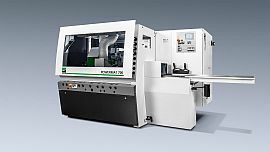 Providing a wide range of products for the moulding, millwork and cabinetry industry, W. Moore Profiles offers raised panel tooling, moulder heads, shaper tooling, custom insert tooling, profile knives and much more. 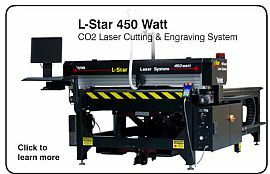 In the business of developing a wide range of laser-based technologies since 1989, Vytek manufactures laser cutting, engraving and marking equipment for a wide variety of applications. 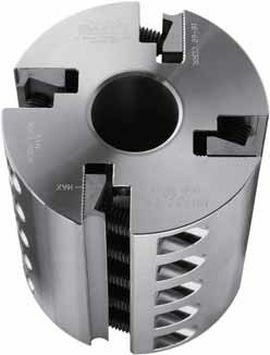 A manufacturer of high performance router and insert cutting tools for the woodworking industry, Vortex Tool Company produces tools with cutting edges in carbide, stellite, high speed steel and polycrystalline diamond. A manufacturer and distributor of vacuum powered tools, Vac-U-Clamp specializes in systems and individual accessories for laminating and forming of veneers, as well as a complete line of hold-downs in a wide range of applications and prices. 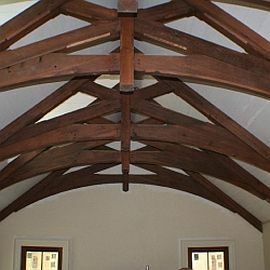 A custom and unique architectural millwork company, Unique Building Supplies also provides cabinetry, flooring and reclaimed materials throughout the Golden Isles and surrounding areas. Offering accurate completion estimation and engineering from scratch, Millwork Drafting Services provides detailed and precise drawings, completion of 600 hours per client weekly and communication throughout the project. Starting in 1972 as a vendor of a single product line, Outwater Plastics has grown to become an international manufacturer and stocking distributor of more than 65,000 standard and innovative component products for a very diversified range of commercial and retail end users. One of North America's largest distributors of quality machinery for over 45 years, Stiles Machinery offers machining and finishing solutions that improve process technology and maximize production capacity. Offering a wide range of products to conserve natural resources and improve production yields, UC Coatings is a premier manufacturer and supplier of wood protection products for the logging, lumber, furniture and woodworking industries. 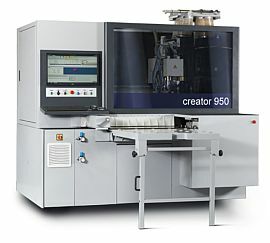 With over 60 years of machine building experience, Felder Group USA is committed to designing, developing and manufacturing high quality woodworking machinery, such as CNC machines, edgebanders, shapers, sanders, bandsaws, saws and many more. Founded in 1984, Tritec is the exclusive importer and distributor of standard and special woodworking and panel processing equipment by Gannomat, including single and multi-spindle, CNC drilling and insertion machines, case clamps, gluing equipment and much more. 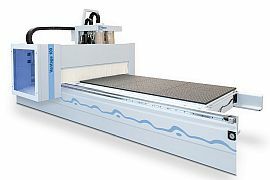 A leading global manufacturer of CNC routers, plasma arc cutting machines and laser cutting machines, Forsun CNC Machinery provides systems that are productive, efficient and user friendly. 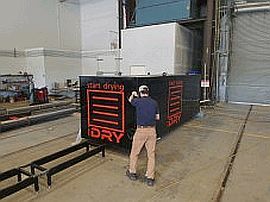 Producing state-of-the-art industry-changing technology for vacuum and conventional kilns, Vacutherm offers products such as industrial and portable vacuum kilns, kiln services, kiln controls, and their turn-key Vacupress Drying Centers. Focusing on understanding customer objectives and goals, Tractivity's cost effective modular job cost solutions allow them to configure solutions to fit the needs of small and medium-size businesses. 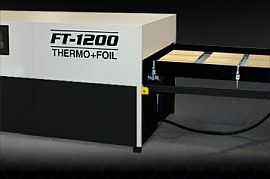 Thermwood's online store, Tooling on the Web, offers tooling, fixture materials, production supplies, support products for industrial CNC routers, and much more. Offering individualized placement, recruiting, and consulting for architectural millwork, Trade Job Placement is dedicated to locating and identifying Millwork personnel with trade specific design experience, in addition to offering outsourcing, consulting, training and more. A monthly publication and accompanying interactive web site, TMS Machinery Sales features products, services and equipment for the sawmill, planer mill, pallet, pellet and woodworking industries. Celebrating 25 years in business, NEMI produces quality, user-friendly products for CNC machines - digitizers, tool setters, vacuum pods, vacuum cups, vacuum tables, vacuum chucks and software. 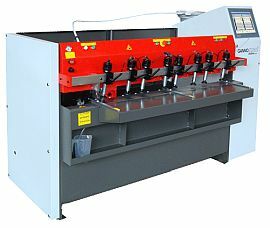 One of the largest manufacturers of widebelt sanders in the world, Timesavers produces wood surfacing machines for finish sanders, abrasive planers, combination knife planer/sanders, feed-through orbitals, moulding sanders and many others. 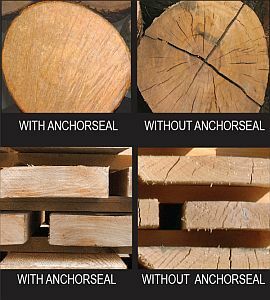 Supplying American-made wood-processing machinery since 1929, TimberKing products include portable sawmills and bandmills, edgers, resaws, planers/molders, kilns and logging tools. A system that is both a pusher and a stop, TigerStop replaces the manual stop system and automates the positioning requirements on machines such as saws, drilling equipment, notchers, shearers and many others.